What’s all the Buzz around Customer Experience (CX)? You have an amazing new website and great capabilities presentation, the sales team has more leads than they know what to do with, and you’re bringing in new customers left and right! Then, you find out a new customer had to wait on hold yesterday to reach your company’s service representative for a whopping 82 minutes. Or that their shipment was never delivered and four days later, you’re still not able to tell them why. Or worse, they inquired about purchasing another service from you on your website, and never heard from anyone to get it rolling. These are all symptoms many industry organizations face when tackling the critical topic of CX. According to Jeff Davis, founder of Jd2 Consulting and TMSA’s 2018 Conference Keynote, 2020 will be year that CX overtakes price and product as key brand differentiators. Customers want to work with companies and brands that don’t just satisfy a market need, but make things easier. Ready to Make CX a Strategic Priority for Your Business? 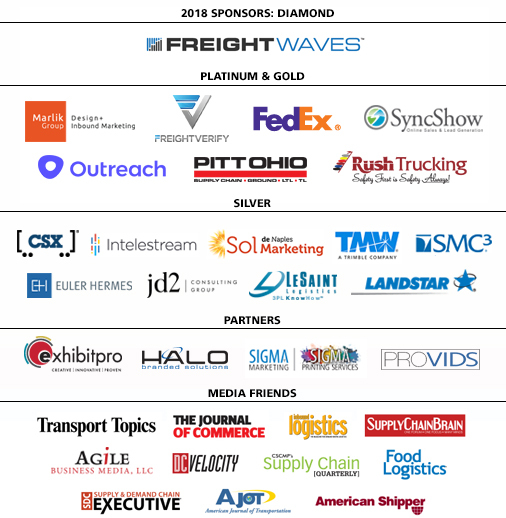 TMSA’s 2019 Annual Conference will bring you the knowledge and connections you need to break through the problems and find solutions for delivering outstanding CX in the transportation and logistics industry. From making investments in digital systems, leveraging data all the way to personalizing/customizing experiences specific to customer’s wants and needs. From Marketing and Sales to Customer Service, Operations and even HR, the impact of those who engage and deliver amazing CX is far-reaching. This is an unprecedented opportunity to engage your entire team in becoming Customer Experience stewards who will drive results! What can you expect from attending this event?